So, why is he shouting? Some good songs, of course, but still pointless. 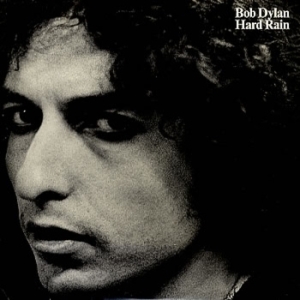 If you want to hear Dylan being crushed by the forces of evil, well, maybe then this is the album for you. I can accept Self Portrait as some kind of prank on his fans, Planet Waves as something simply lazy, but this? This is Bob Dylan’s defeat. I know some people look to Dylan as a counter-cultural icon, but I prefer to think of him in as someone carried along by the same wave as the rest of the movement in the 60s. Hunter S. Thompson wrote how with the right set of eyes you could look West and see the high water mark, where that wave crested and rolled back. Hard Rain is that near-tsunami rolling back and crashing somewhere East against the opposite shore. Dylan seems exasperated, at a loss with what to do to juggle artistic and commercial concerns, and plain worn out by that process. He sure has worse albums out there. Yet this suggested that Dylan was probably going to focus on bland, clichéd approaches to music during the rest of his career, which often proved to be the case.